Getting to Belize: All Your Questions Answered! You can picture it clearly – lying on the beach in a hammock, sipping a Pina Colada, and listening to the sound of the waves lapping back and forth with Bob Marley playing in the background. Now this is heaven on Earth! You can feel the sea breeze already! Back to reality. This might not be you at the exact moment, but you have no problem envisioning it. You’ve been dreaming of Belize for weeks and decided this is the place you will spend your tropical vacation surrounded by swaying palm trees and the crystal clear Caribbean Sea. So now down to the details: How do I get there? Is there a direct flight? and What do I do when I get there? As we frequently say here in Belize, “no worries man,” because international travel to Belize is relatively simple and straightforward with a few helpful tips from us. Belize is located along the coast of Central America, bordered by Mexico in the North, Guatemala in the Southwest, and the Caribbean Sea to the East. Most visitors travel to Belize by air. In order to fly to Belize, all travelers will book their flight using the BZE airport code for the Philip Goldson International Airport. This is Belize’s only international airport and most traveler’s will find it small and easy enough maneuver. As you can see, there are several DIRECT flights from major US cities flying into Belize. To name a few, United Airlines flies directly from Houston (IAH), Newark, and Chicago whereas American Airlines flies directly from Miami, Charlotte, Dallas, and LAX. Delta Airlines also flies directly from LAX as well as Atlanta. And for those avid Southwest fliers, Southwest recently announced that they choose Belize as one of their first international destinations flying from Houston Hobby. Who doesn’t love free checked bags, no assigned seating, and free flight changes, right? They just made it that much easier for you! Due to an increase in demand, Southwest Airlines announced daily, nonstop service from Ft. Lauderdale (FLL) to Belize starting on June 4th, 2017. This service will connect eastern U.S. cities such as Baltimore, New York, Washington D.C., Atlanta, Orlando, and Tampa. In addition, Southwest has added nonstop flights from Denver (DEN) to Belize starting March 11th, 2017 extended throughout Summer 2017. WestJet (based out of Canada) also announced a direct flight two times per week from Toronto, Canada to Belize as of October 29, 2016. Read more here. Travelers flying from Europe can book a connecting flight in the U.S.A, Mexico, Hondura, El Salvador or Guatemala to arrive into Belize. It gets easier. For citizens of the U.S.A., nationals of European communities, members of CARICOM states, and travelers from Canada, Mexico, and Australia, as well as a other countries, only a valid passport is required for entry to Belize. See the complete list here. Travelers in Belize can get around via car, boat, or local puddle jumper flights. Most travelers opt to fly on a local carrier from the Philip Goldson International Airport in Belize City to the town closet to their resort. All flights within Belize are no more than 40 minutes long. Once you arrive in Belize City, your fun journey to Coco Plum Island Resort begins. We take care of everything in Belize for you to assure a safe, short, and hassle free arrival to your Belize private island. Our all inclusive vacation packages like the honeymoon and lover’s getaway package as well as the fishing package includes the cost of your local flight on Maya Island Air from BZE to the Dangriga Airport. Our all inclusive vacation package, diving package, and the no frills option does not include the cost of your domestic flight, but we still book it for you as soon as we receive your international flight itinerary. Your local puddle jumper flight on Maya Island Air is all part of the Belizean Adventure. Photo Courtesy of: Maya Island Air. Once you arrive you Dangriga, a Coco Plum Team Member will be waiting. You will take a short drive through Dangriga Town, which is also referred to as the culture capital of Belize, so be sure to take a look around. You’re journey is almost at an end when you arrive to the marina where one of our Captains will take you on a short 20 – 30 minute boat ride to Coco Plum Island Resort. You will be greeted by warm smiles and a Coco Plum “mosquito bite” where you can leave the rest of the world behind and enjoy island life. 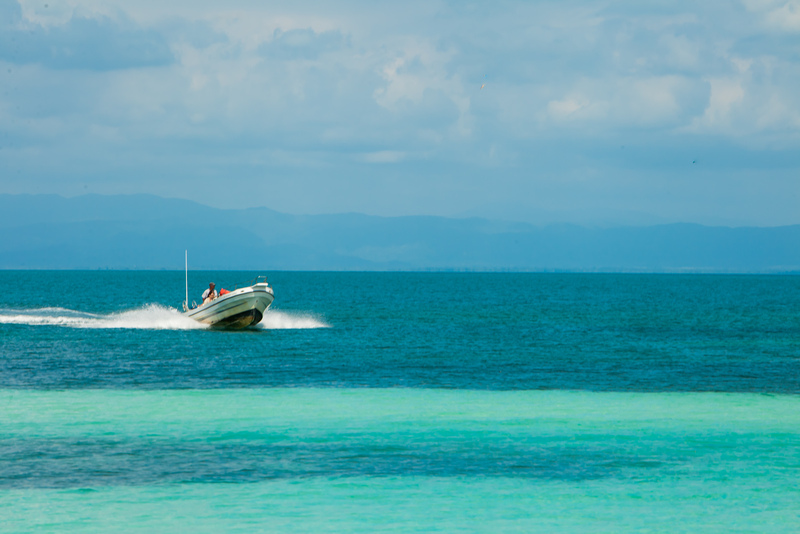 We make getting to Belize and your private island as easy as possible! We absolutely cannot wait to host your Belize island getaway.